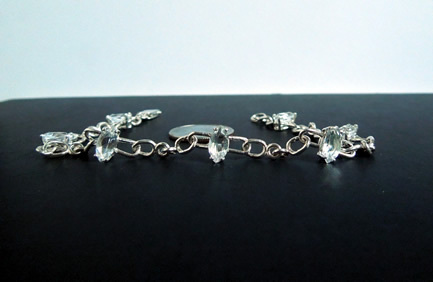 Notes: A Herkimer Diamond tennis style bracelet with 5.25 ct. of 8x4 mm marquise cut Herkimer Diamonds. 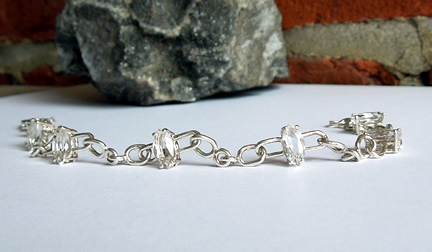 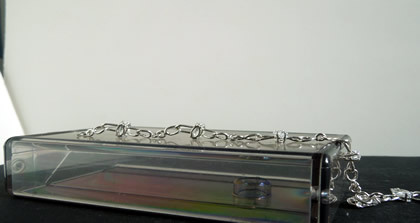 Seven faceted clear quartz crystals link together with sterling silver chain links. 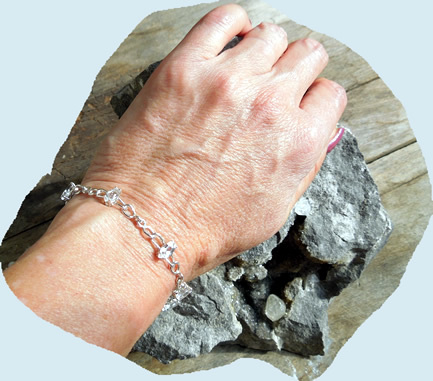 A a sterling silver lobster clasp finishes the 8" bracelet. 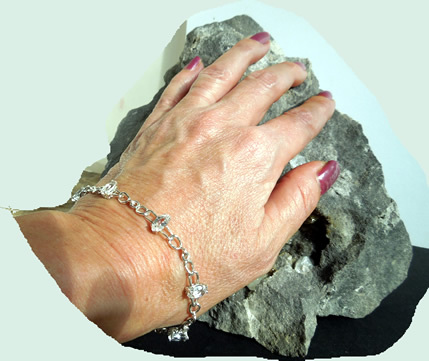 It's a piece of jewelry for all occasion; as beautiful as it is unique. 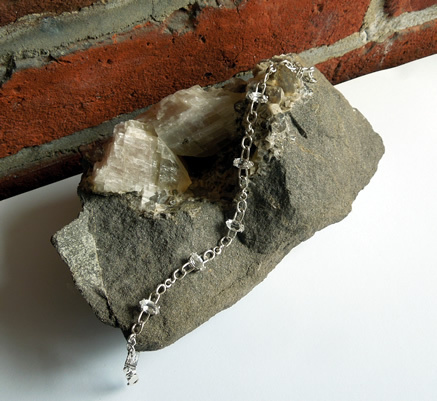 Unique Herkimer Diamond tennis type bracelet.